I have two rescue dogs and I have only had mixed breed dogs that were rescued from a shelter or rescue. It never made sense to myself or my family to buy an animal. The prices for pure breed dogs are astronomical and you really have no more of a guarantee of getting yourself a great pet then if you get one for the shelter. Recently I found a great pet adoption site called Get Your Pet that will change the way you find your next family pet. There are over 2 million pets that are owner surrendered to shelters every year. The reasons for this can range from, the owner is ill, dog is not good with their kids, the dogs have special needs, or even something as simple as the animal is just not a fit for our family. Get Your Pet is a site for direct pet adoption, from one good home to another. Rehoming a dog or a cat in this way keeps them out of the shelters. It is like having a online dating service for getting a great pet! Did you know that certain breeds that just landing in a shelter increases their chances of being euthanized? I know that most of you are aware that pit bulls are at the top of the list, but I bet there are others that would shock you. How about Chihuahuas, and beagles and one of my favorites the Labrador Retriever? They are in shelters more than other breeds, for many reasons, popularity, size, health needs, and even because they eat too much. Great dogs, but their families just could not handle the responsibility of of the pet so they take it to the shelter. I have a huge dog that we got when she was a puppy, but I will tell you, she is not a dog for everyone. She is half English Sheepdog and half Lab, she has all the traits of labs that some people don’t like. She used to chew everything, she sheds like crazy, she has a predominately black coat (yes black dogs are adopted less often), she has to have a special high fiber food because sheepdogs have sensitive tummies, she is also 95 pounds. Not a lot of people want to deal with a small horse in their house. We love her so much though, she is fabulous with kids of all ages, she is mostly lazy, which matches our energy and she also is a huge eater and well lets say poop duty is no fun with huge dogs. We also have a chihuahua mix that we obtained from a shelter that is probably not a great fit for our family, he is a little high-strung, barks a lot, and sheds like crazy. The kids love this little dog and I would never dream of getting rid of either one of them, but to be honest there was a time I would have loved to have found another home for the little one, but when you adopt from a shelter you either return to that shelter, where they probably will never be adopted or you put them on a market place and risk a dog that you care about. With Get Your Pet now available, I know for a fact that I would have used this site to find him a better suited home, not just for our benefit but for his. It is not fair for a dog to be in a home where they are not loved or given a great life. We now of course love the little guy and would not think of it, but I am sure there are other animals that are tolerated and not really given great lives because they are just not a great fit. Pets are family and they should always be kept with your family when possible, however if that just cannot happen for some reason Get Your Pet dot com is a service that I hope you will consider instead of surrendering to a shelter. Most homeowners tend to ignore what they don’t see in their houses. They rarely think about dust and pet hairs hiding in corners and furniture, until it cultivates on your favorite furniture. However, having your house full of dust is dangerous for your health. Dust may contain all sort of things, from human skin cell, pollen, heavy metals, and bacteria. Also, dust may attract dust mites. The same can be said with pet hair. We don’t deny that pets offer benefit for our lives, however, excessive pet hair can also have dangerous impact to human health. Allergies, people with allergies usually develop symptoms like red rash on skin, watery eyes, and runny nose.Dermatitis, inhaling dust can cause atopic dermatitis or other skin conditions. Asthma, can be trigger by inhaling bacteria in household dust. Even greater possibility during spring cleaning or windy days. Campylobacteriosis, caused by bacteria in pet hairs and will induce diarrhea, abdominal pain, and fever. Worm infection, for example hookworm which can be found in the feces of animals. It can cause a skin condition to be red, itchy, and sometimes painful because the hookworm larvae penetrate the skin. Another example is toxocariasis, from the animal’s feces. It can cause inflammation and vision loss, pain, fever, or organs damage. 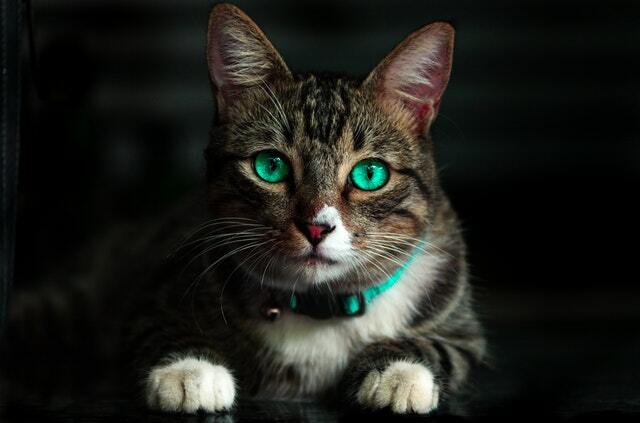 Toxoplasmosis, found when you come into contact with cat feces. It may cause brain or eye damage. So, what can we done to prevent those health problems? Here is 5 tips to save you from dust or pet hair diseases. 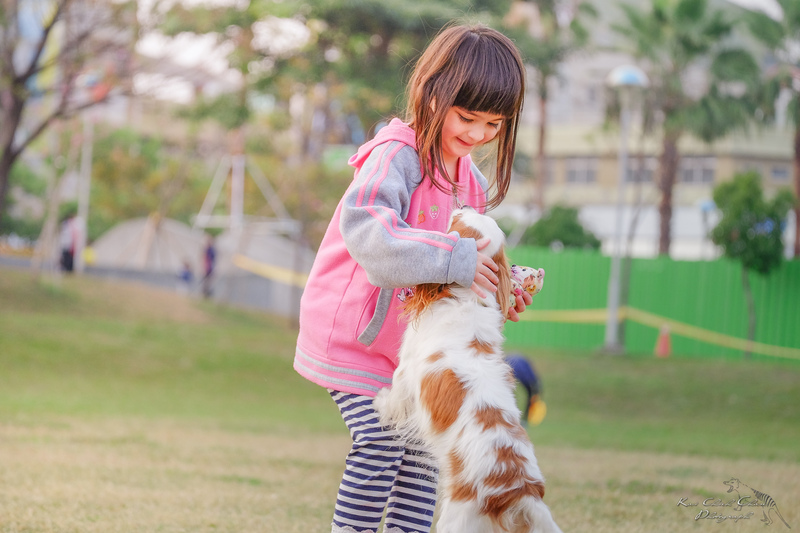 By doing this, especially in the areas where your children play, may prevent the bacteria forming and you can prevent the spread of disease to other animals or humans. And always remember to wash your hands after having a contact with pets. Wash your hands thoroughly with soap and water to prevent dust or pet-related infections. No matter how often you groom your pets, you can’t stop the shedding and the pileup of pet hairs. 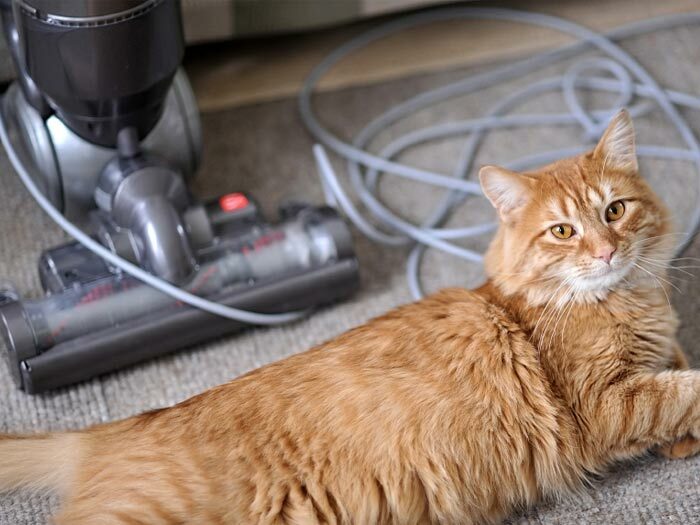 So, it is better to purchase a vacuum cleaner for pet hairs. Make sure the vacuum cleaner suit your need, it may be robotic, hand vacuum or regular vacuum cleaner. It will help collect dust and pet hairs quickly and effectively. Remember to dampen your carpet and use a broom before you vacuum. You can also use a little baking soda on your carpet to remove the odor. Toss a blanket over your couch can be a simple way to make it fur and dust free. You can also choose from custom-made couch covers variety to suit it with your home décor. The point is, it is much easier to wash your sofa cover than keeping it clean from fur or dust every time. If you have hardwood floors in your house then you can use a dampened mop to pick up dust or pet hairs. This damp mop will pick dust and pet hairs like magnet. Otherwise, you can also use damp sponge on furniture. Use it with duct tape to remove all the loose pet hairs. Ideally you better brush you pet every day. Just do several brushes can do the trick, it is not necessarily a long brushing session (and do it outside). It will reduce the number of fur sheds in your house. You should also make sure your pet gets the up-to-date vaccinations. Make appointment with your veterinarian regularly to check on your pet problems. Other than these tips, you also must keep in mind to organize your closets regularly. Believe it or not, closets can be a dust haven. Another thing is you need to change your bedding at least once a week. Your skin shed, hair, or daily dust will be collected in your bed. You may get health problems while asleep, unconsciously inhaling dust particles in your pillow.And as much as we love our pet in the house, we don’t want to catch a disease from them. So, with the correct precautions we can enjoy their companionship without disrupting our health. Cats usually go through three stages in life; kitten, adult and senior. 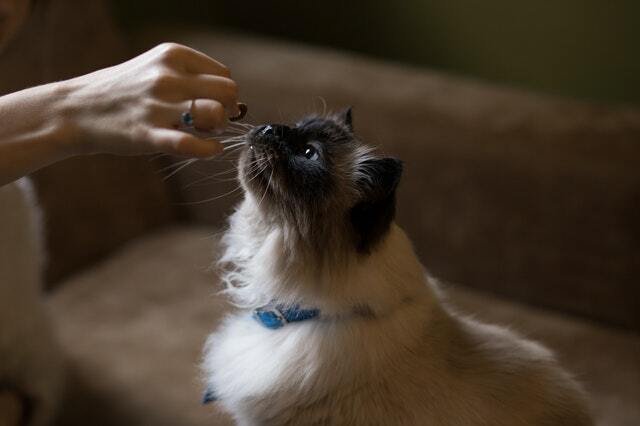 In every stage, a cat requires a specific sort of diet with the correct nutrients to aid in its development. A kitten requires a high fat and protein diet as it is growing up and it needs those two mainly for muscle, bone and teeth development. Since kittens are very active they are able to quickly convert calories into energy. An adult cat does not require a high calorie diet like that of a kitten. This is because adult cats face a threat of being overweight, which just like in humans can cause arthritis, heart disease or diabetes as the cat ages. Only pregnant or nursing cats should take a high calorie diet. Senior cats should take a low-fat diet with easy to digest proteins so as to prevent unnecessary strain on the kidneys. This is because they tend to be sedentary. Protein. The protein in cat food should be well identified from what source it is from. The source, whether meat, fish or poultry should be well written, either “tuna”,”chicken”,”beef” etc, not just blandly ‘meat’ or ‘meat products’. Taurine. The food should contain taurine, which is an essential amino acid. Vitamins, minerals, enzymes, fatty acids. You should rotate the type of food you give to your cat(s) to keep them from being bored with the same daily meal routine. As an added bonus, the cats will be able to get a balanced diet since different formulations of cat food recipes contain different nutrients and ingredients. They should be given a variety of dry foods and canned food. Canned food is especially good since it contains variety and has water. This is important because not many cats take water regularly, and this provides them with a source of hydration. Canned food should be consumed immediately since it goes bad fast and it may be a source of bacterial poisoning. It is not an easy task to raise a pet. Not only do you have to train it to defecate and pee in its designated areas, you also have to groom it and ensure that it consumes healthy food. There isn´t a dearth of cat food available for purchase in the market, with each product claiming to be healthier than the other. However, the ones worth purchasing are very few and far between. There are many things to consider before choosing a healthy cat food and it is recommended for you to discuss with your veterinarian to come up with a balanced diet for your cat. Here are 5 tips to choosing healthy cat food. For more information on cat food, do visit Cat Nap Store. When acquiring cat food, you should ensure that the food doesn’t lack in the calorie department. This is because kittens generally require more calories for their growth and development. In addition to that, they also need higher calories in their food for energy. After all, kittens are quite playful, aren’t they? When opting to purchase a cat food, it is imperative that you choose a product that has successfully faced AAFCO feeding trials. Many manufacturers often place their products on the shelf without carefully testing them. However, the good food companies leave no stone unturned in ensuring that the products they manufacture are scientifically proven to aid in a cat’s growth and well-being. The trials are generally conducted by responsible authorities to ensure that the cat food products don’t lack the essential nutrients. You wouldn’t want your cat to deprived of a balanced diet now, would you? Tip 3: What about meat products? If you are a cat lover, you should be well aware that cats are omnivores meaning that they eat a variety of food of both plant and animal origin. Therefore, you can purchase food that contains meat based protein. So, whatever meat it may be whether it is beef, turkey, tuna or chicken, your cat will benefit tremendously from cat food that contains meat based protein. Tip 4: What about the ingredients in the food? You should also check the ingredients of the cat food like you would check for your own food. Cat food must have the fatty acid, DHA; the ingredient plays an instrumental role in the growth and development of the cat. The fatty acid is essential for the development of ears, eyes and the nervous system. You must also ensure that the food contains high-quality grains such as barley, wheat, corn. These grains contain an abundance of carbohydrates that are necessary for providing energy to the cats. Many people often feed their cats with common household foods such as milk, canned tuna, grapes, raisins, raw eggs and yeast dough etc. However, these foods should be excluded from a cat´s diet as they can prove to be detrimental to a cat´s health. 5 Ways to Master Puppy Potty Training! Puppy potty training is the first thing you will teach your dog. As such, it is an activity that sets up everything in place and if you will, creates a hierarchy between two of you. No matter how you observe things, it is true that you are dog’s provider and that you will stick with him from its first to its last days. Because of that you need to create a good basis upon which you can build your relationship. Most people see puppy potty training as nothing more than a potty training that is meant to keep your house clean. Secondary effects are much more important in this case. Small mistake can be costly and even affect the way your dog perceives you. 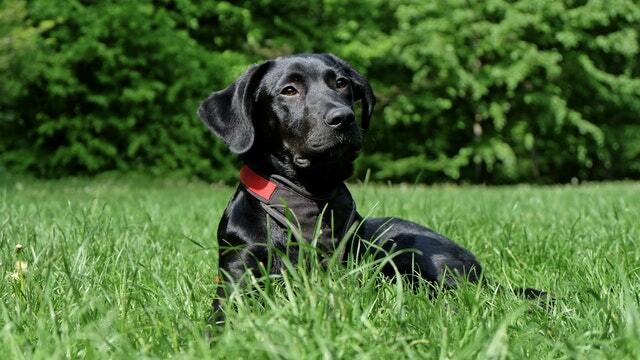 What are the must-know things when it comes to dog’s potty training? Before anything else you need to realize that a puppy is clueless when it comes to its surroundings. Dogs are like small children and they will remain so till the rest of their lives. They do not understand what is right and what is wrong and oftentimes, they do not understand what we expect them to do. This is especially obvious during potty training where accidents are common, they keep occurring and in most cases, it takes a while for a puppy to understand that this is wrong. Unfortunately, not everyone has the necessary patience and some people will turn to physical abuse and punishment as a way of training a dog. This is completely wrong and should be avoided at all costs. Such behavior can lead to trauma and fear severely affecting dog’s perception of you and your future relationship. Such trauma will stay with the animal for a long time making it distrustful not only to humans but animals alike. Now that you know the general stuff, it is necessary to address small details. 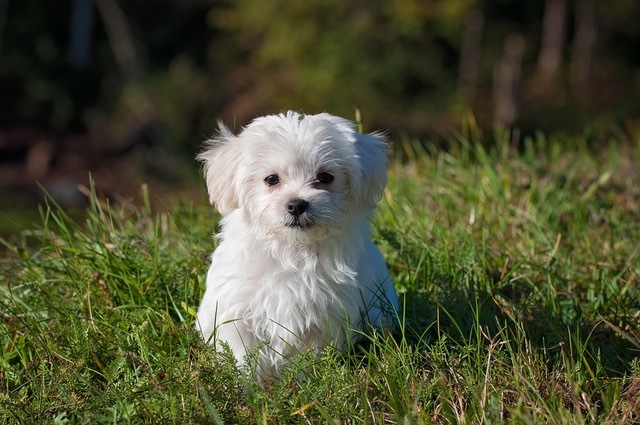 Puppy potty training can be seen as series of steps that are performed each and every day. Let’s see what you need to do from morning till evening. These are just 5 of them, but if you want to dig into the topic in real depth, you should check this guide by Kaufmann’s Puppy Training. When you prepare breakfast (or any other meal) make sure to serve same amount of food each and every time. This way you will be able to track dog’s behavior and predict when it needs to relieve itself. If the dog doesn’t eat its portion, make sure to remove it. Worst thing that can happen is puppy eating its food all day long. This way you cannot predict its needs and it may start relieving itself during midday.